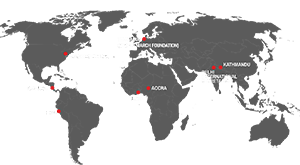 The Global Campaign for Education (GCE) has recently published its latest e-newsletter and has raised concerns over the growing level of attacks on education around the world by various governments, including Chile, Malawi and Bahrain. GCE President Ms Camilla Croso refers to the protests by students, teachers and society generally in Chile against an education system that violates their rights and which is deepening social injustice throughout the country. In addition, she points out that: “In the wake of the Arab Spring, the Bahraini government is violently cracking down on public protests and many of the victims of this persecution have been teachers and university students.” In Malawi, GCE member the Civil Society Coalition for Quality Basic Education has been forced into hiding. The GCE has launched a number of online solidarity campaigns to highlight these incidents, which are not isolated and are even on the rise. “At stake is not only the right to education, but also the right to social participation, freedom of expression and integrity of life,” said Ms Croso. Global March has responded to the various calls for support and urges its members and partners worldwide to do likewise. Clamping down on social mobilisation and participation is equally a threat to the work of Global March and it is vital that it remains strong and united to continue to ensure a voice for the voiceless in these times of crisis and challenges.